My family loves breakfast. While we like cereals because of its convenience, we don’t want to have it on a daily basis. It becomes boring that way. Also, we don’t want to miss out on other breakfast goodies. So I cook breakfast as much as I can so we can try new dishes. 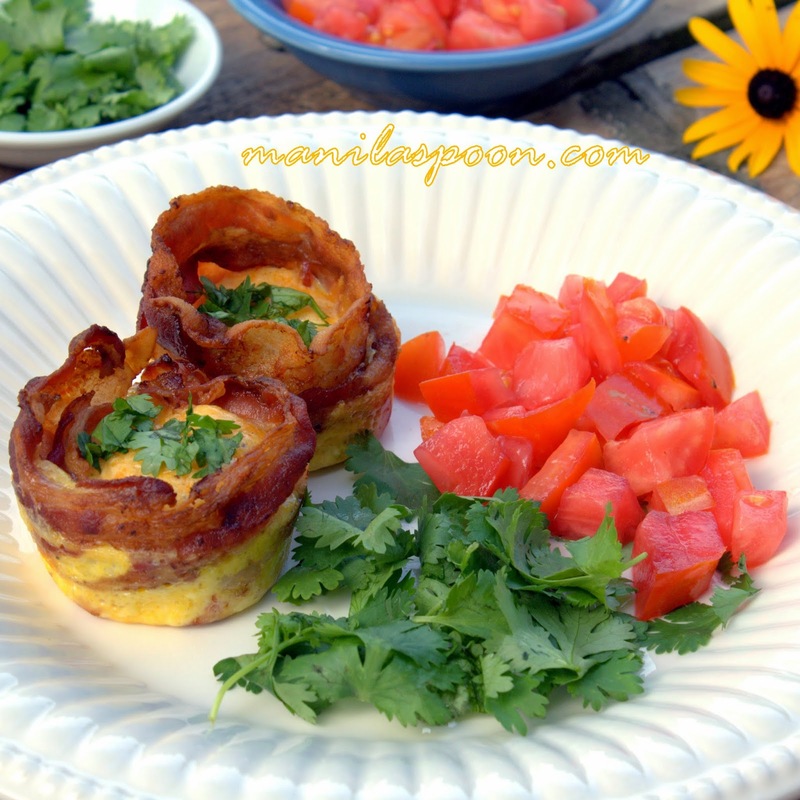 Here’s an easy but delicious breakfast that needs no big intro. 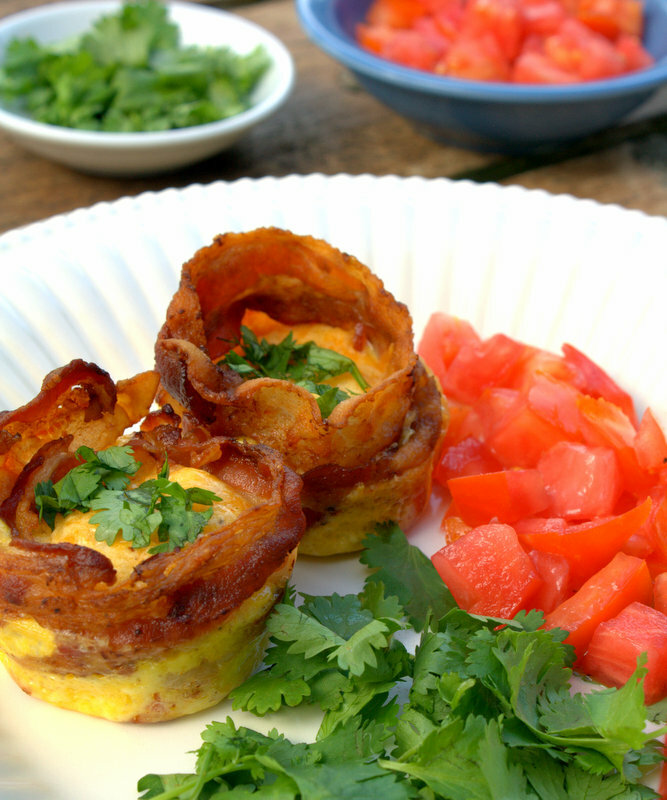 If you love bacon and eggs, this is for you! It is also a Mexican-inspired dish – using Mexican cheese blend, a little cayenne pepper plus cilantro and tomatoes. Most of all, it’s low carb and gluten-free! I wish it’s breakfast again! I only made about 5 servings (5 pieces) for this recipe because I have a small family but you can easily double the recipe if you want to make more. 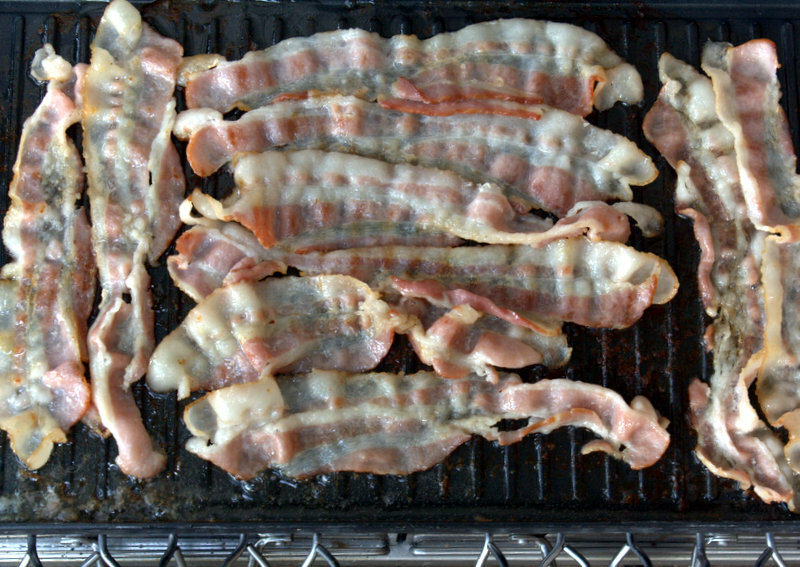 In a large skillet or grill pan, cook bacon over medium heat for 3-4 minutes per side or until it begins to brown but is not yet crisp (still pliable). 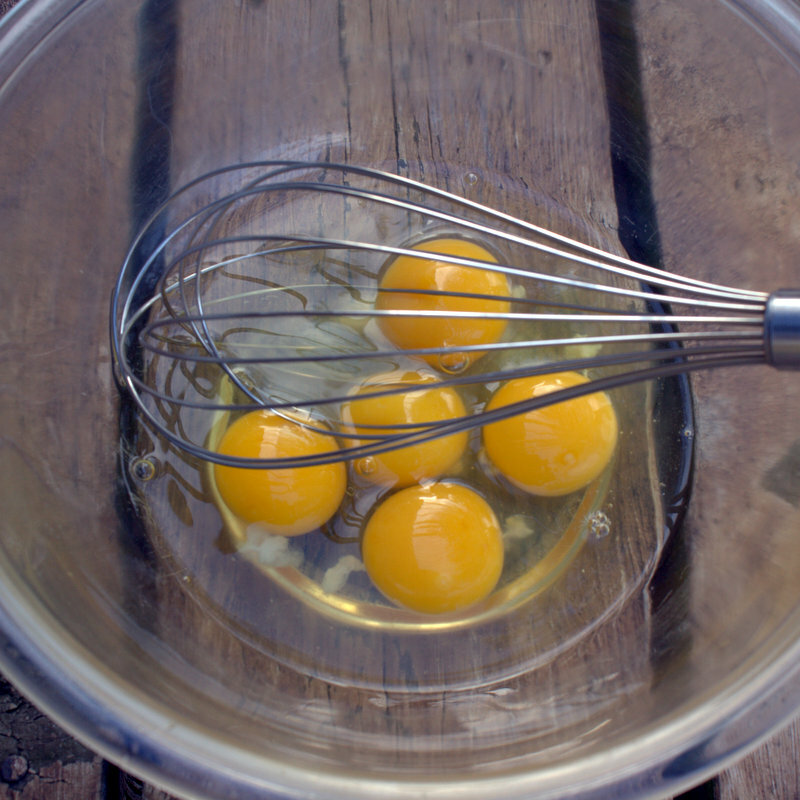 While you are cooking the bacon, whisk the eggs until combined. 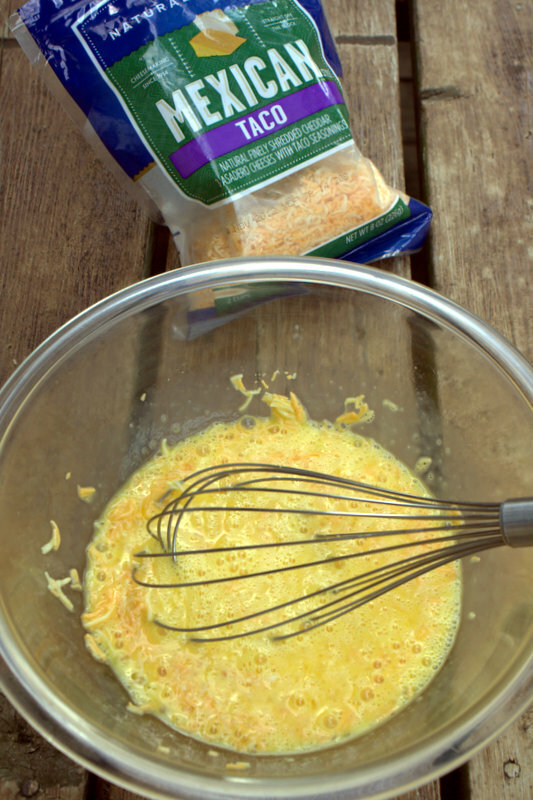 Stir in the shredded cheese. Season with a little salt and pepper and a pinch or two of cayenne pepper, if using. 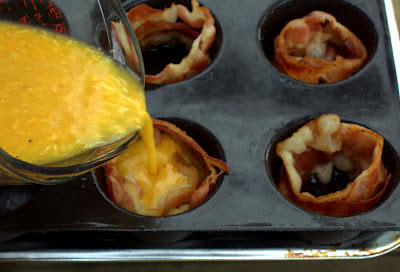 Grease the muffin pan – I only used about 5 cups. For this I used the Demarle Flexipan so I did not need to grease the insides of the muffin pan but you may need to grease if you are using regular muffin tin. 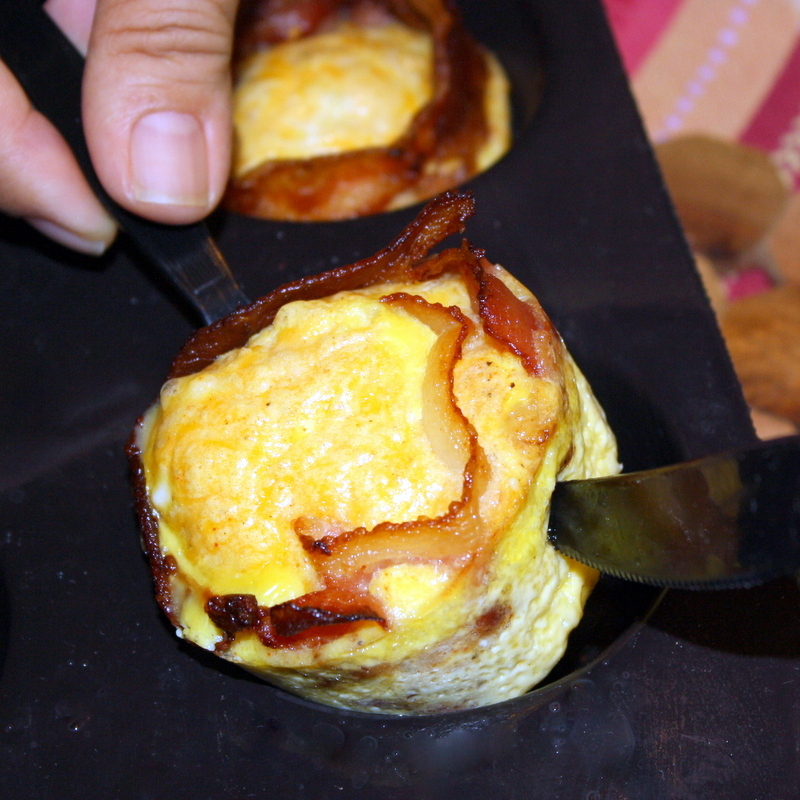 Place and wrap two bacon strips around the side of each muffin cup. Using a measuring cup, pour in the egg mixture in each prepared cup. Just divide it evenly among the cups. Bake for 18-20 minutes or until set. Remove from the oven and cool for 5 minutes. This is when the magic of a Flexipan comes through. 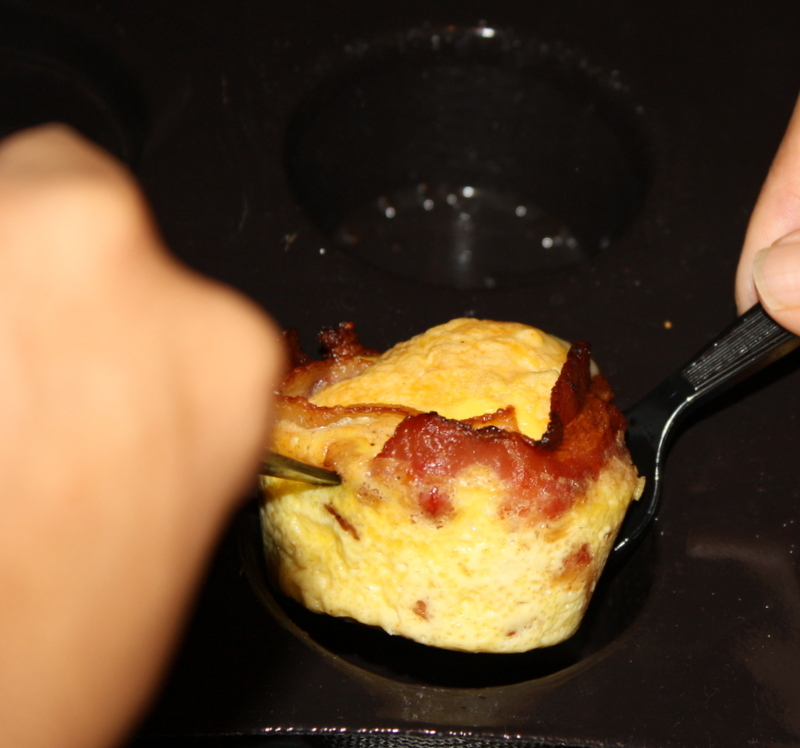 See how easy it is for me to remove the baked egg cups. You can probably just push out the muffin too ’cause the muffin pan is so flexible. Here I used plastic utensils to help me scoop it out. Transfer to a serving plate. Garnish with some chopped cilantro and have it with fresh chopped tomatoes. 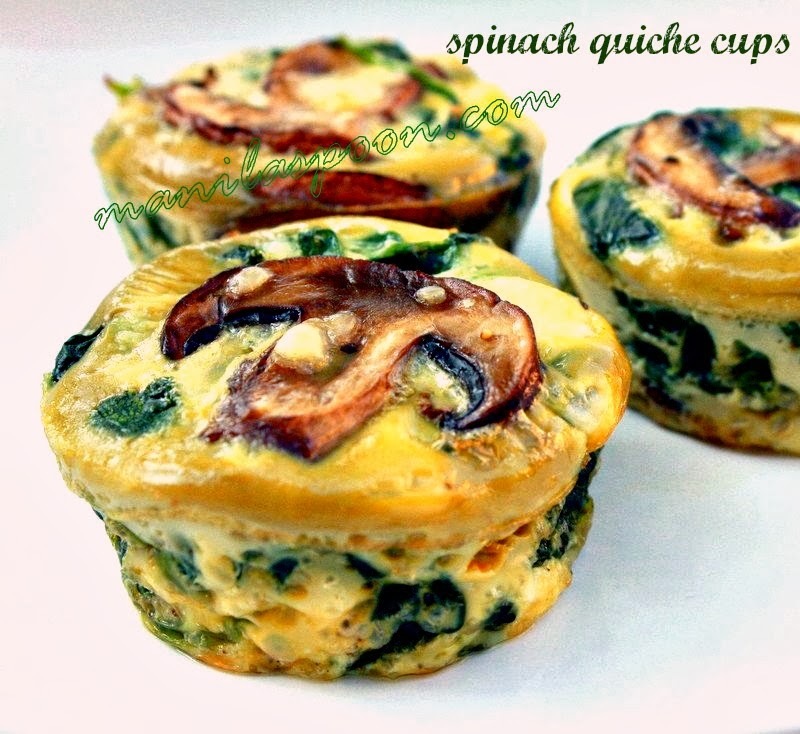 Low-carb, gluten-free and what a delicious breakfast! If you wish to print the recipe, there’s a print icon at the end of the post. Click on the “remove images box” for easy and convenient printing. 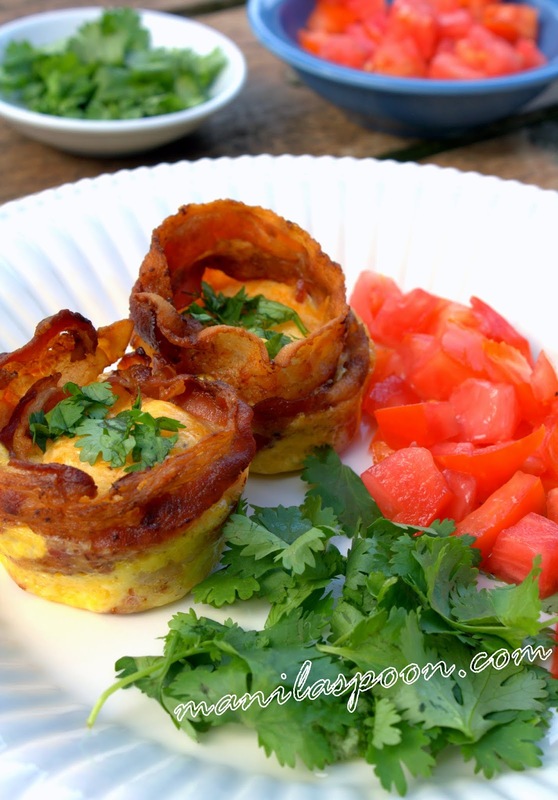 Adapted from Taste of Home’s – Bird’s Nest Breakfast Cups. These are so cute and perfect for Back to School! They can grab them and run. That's right! It's not difficult to do as well. Thanks for dropping by Valerie! Also, I like how you do your photography, colours are so vibrant and food looks so appetizing! I am but a humble grasshopper with still much to learn…. Oh Jen, you're too nice! Honestly, I have so much to learn still, my composition is still wonky. I do love your photos, too! At the end of the day, it's all about cooking and photography is just the means to promote it and not the end. Oh, well, at least that's how I encourage myself! 🙂 Thanks for dropping by! 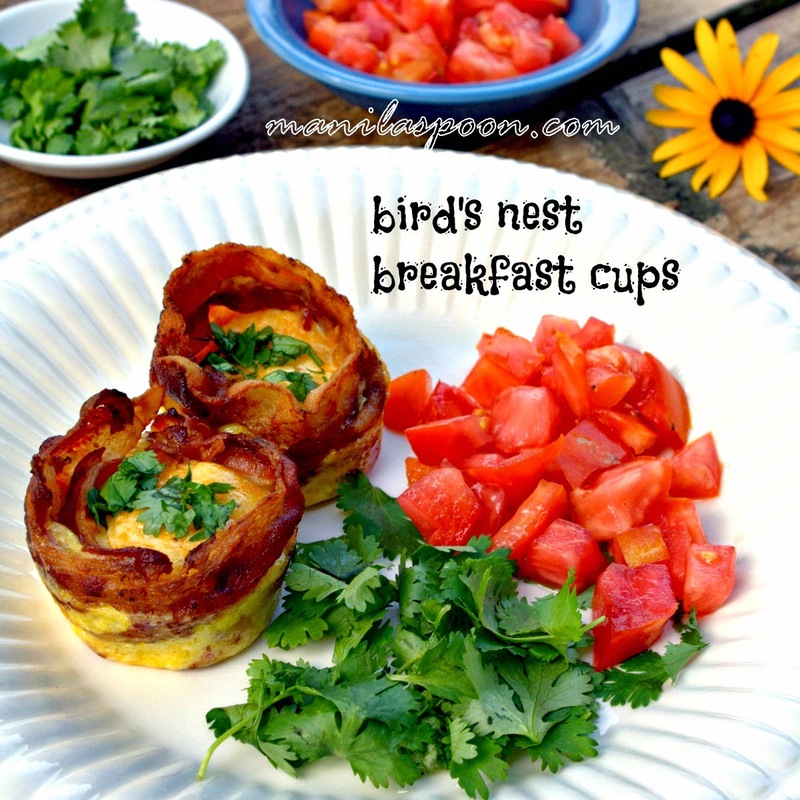 These Bird's nest breakfast cups are so pretty and yummy. I think when I bake them, I will reduce the eggs and add in equal parts of milk so that it will be softer in texture. Thanks for sharing and give us an idea of different way to serve beacon and egg !! Hello Mrs. Lee, It is wonderful as is but you can also tweak it the way you want it. That's the beauty of this recipe. Thanks for stopping by. Hi Shelly! That sounds yummy! Thanks for giving us a feedback. So happy you enjoyed it! I made something like this recently and froze the leftovers. Took one out of the freezer and popped it in the microwave for about 45 seconds, let it set 30 seconds, then heated it 15-20 seconds more. Delicious! Wish I'd read your post first 'cause I had assumed with bacon grease the metal pan wouldn't need greasing… ha! 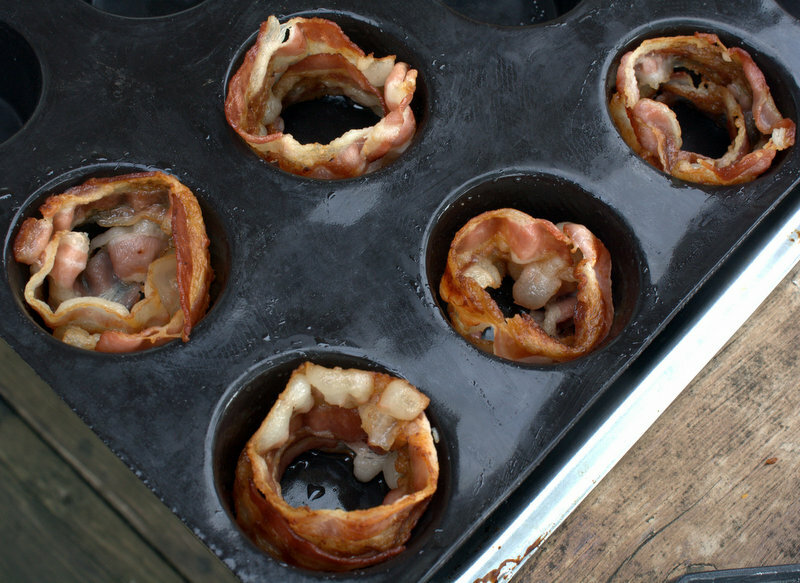 I need to make them a day ahead of time, do they heat up well? I am sorry, I am out of town and only saw this today. To be honest, I don't know. Perhaps you can try reheating it in the oven so the bacon can be nice and crispy again and am not sure if you can achieve the same results when you reheat it in the microwave. Sorry. can we use chicken strips instead of bacon?? I'm going to bake this soon for my daughter's baon. Thanks Abby! This is truly yummy and we have made this a few times so hope you enjoy it.